The Redskins are pursuing the signing of Desean Jackson, but will they look past his off the field issues? Tarik El-Bashir breaks down the potential deal. 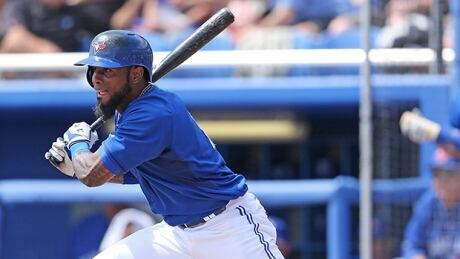 The Toronto Blue Jays only got a half of an innings work from Jose Reyes on Monday, as the shortstop was pulled from the game in Tampa Bay following his first at-bat of the regular season and later placed on the 15-day disabled list. With the Patriots losing LeGarrette Blount to the Pittsburgh Steelers last week, there's a bit of a void to fill at the running back position behind Stevan Ridley and Shane Vereen. Perhaps the Patriots are close to filling it. NFL Network reports that former Bears running back Michael Bush is set to visit the Pats. Bush, a six-year NFL veteran, is coming off the quietest year of his career. 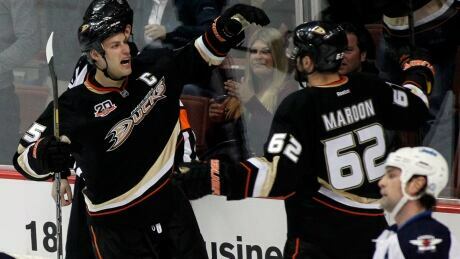 Stephane Robidas scored 16 seconds into overtime, and the Anaheim Ducks staged the biggest comeback in team history by rallying from four goals down to beat the Winnipeg Jets 5-4 on Monday night. CSN Philadelphia's Reuben Frank discusses the Eagle's decision to release DeSean Jackson. 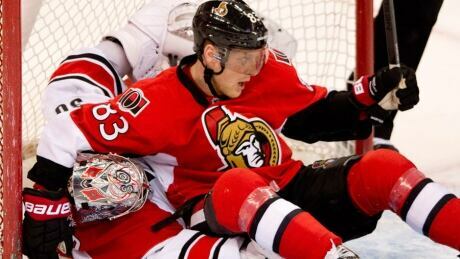 Ales Hemsky scored the lone goal of the shootout to propel the Ottawa Senators to a third consecutive victory on Monday, 2-1over the visiting Carolina Hurricanes. The Bears were saddled for a very long time with the clich image of cheapness, maybe dating back to Mike Ditka describing George Halas as throwing nickels around like manhole covers. A lot of people who lived through the Depression, for instance, never felt secure ever after, even when they didnt necessarily have money worries. The Bears were not always cheap; But the Bears spent: deals, some massive, for Alonzo Spellmans, Bryan Coxes, Thomas Smiths, Ironhead Heywards, Lewis Tillmans, Shawn Lees, Edgar Bennetts, Kordell Stewarts, Adam Archuletas, Brandon Manumaleunas, Chester Taylors. You are currently browsing the Sportspool.com Sports News blog archives for March, 2014.